The 7th Annual ‘Women of Influence Night’ was held on Saturday, November 24th, 2018 at the Rodd Miramichi River Hotel. Awards were presented in the following categories: Female Professional of the Year, Female Entrepreneur of the Year and Woman of Influence. 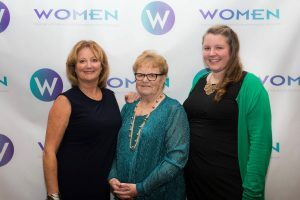 The Women of Miramichi Entrepreneurial Network awarded the 2018 Woman of Influence award to Geri Mahoney! Geri (Left) is a long standing member of the Newcastle Rotary Club and we would like to take this time to recognize and congratulate our fellow member on such an amazing accomplishment!